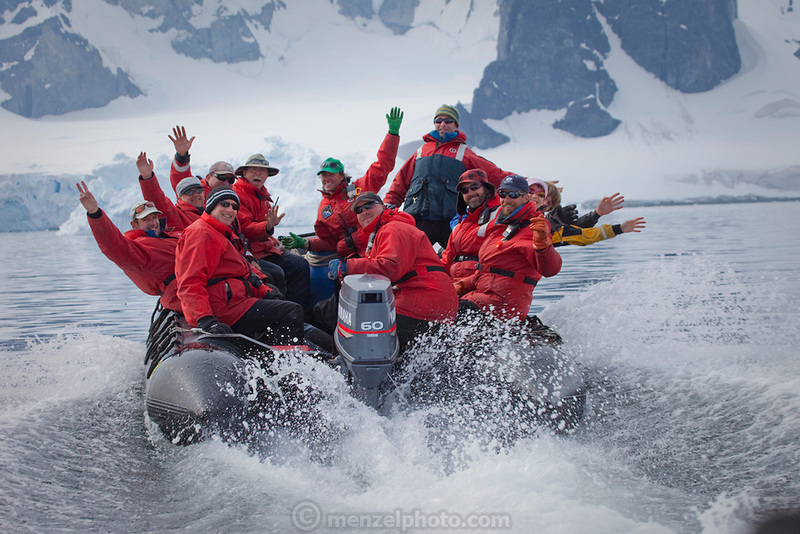 Quark Antarctic Vavilov Expedition staff group photo by Peter Menzel © 2011. They work on the Scandinavian-built ice-breaker Akademik Sergey Vavilov, which was originally built for the Russian Academy of Science and still used occasionally by scientists, is now predominantly used for adventure touring in both the Arctic and the Antarctic. The ship is currently operated by a Russian crew, and staffed with employees of the adventure touring company Quark Expeditions, and carries around 100 passengers at a time. Antarctic Peninsula..